We merged the action of live tv sports and the reactions Twitter is known for. 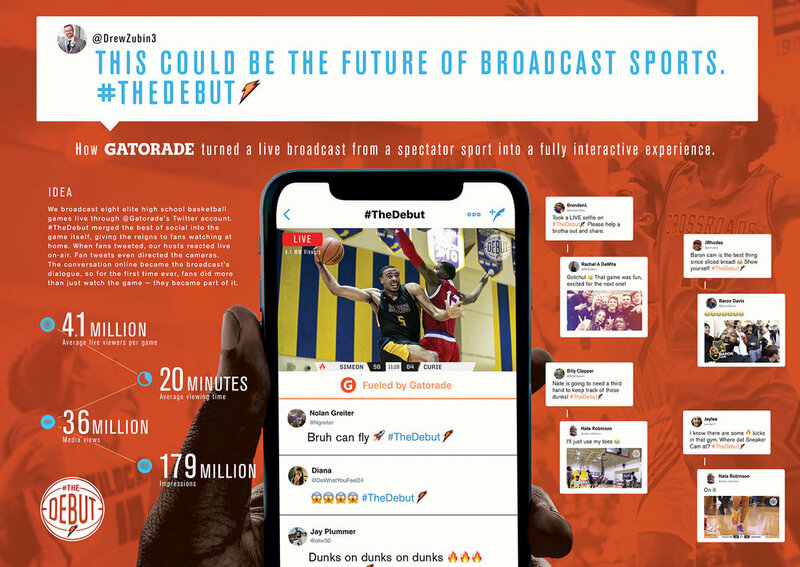 #TheDebut streamed eight elite high school basketball games live on Gatorade’s Twitter handle, putting the broadcast in the hands of our teen audience. They could react, engage, and even direct the broadcast. We averaged over 20 minutes of view time, and had over 4 million viewers per game to watch the next generation of ballers, like Zion Williamson and RJ Barrett.